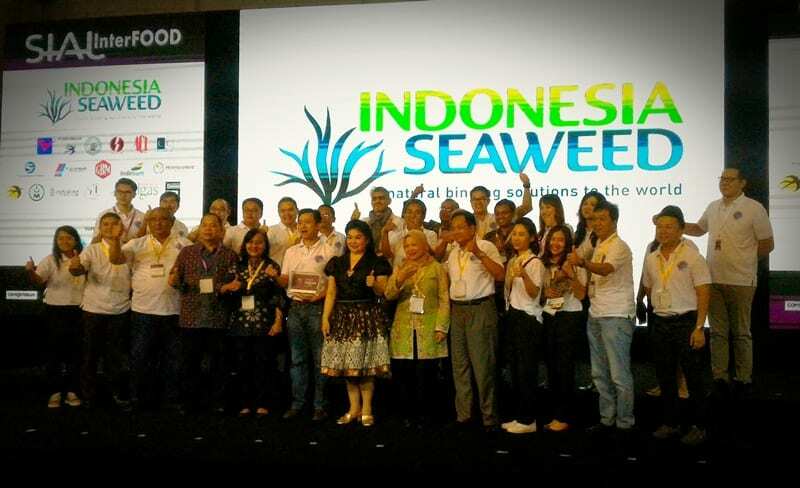 The world’s largest producer of tropical seaweed hydrocolloids, under the coordination of the Ministry of Maritime Affairs and Fisheries (MMAF), supported by SMART-Fish Program of UNIDO (United Nations Industrial Development Organization) participated in SIAL InterFood in Jakarta on 21 – 24 November 2018. 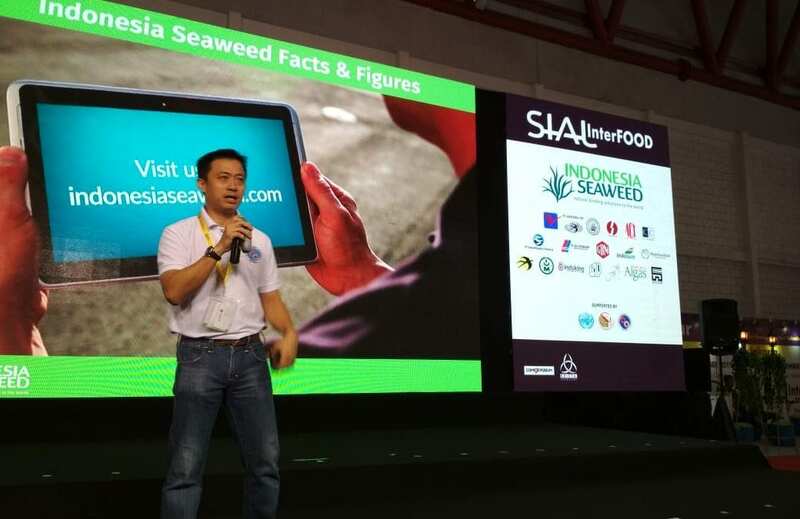 It was the venue where the Indonesia Seaweed Industry Association (ASTRULI) – acting as the umbrella for the Indonesia seaweed industry – launched the brand “Indonesia Seaweed”. Indonesia is well-known as the world’s largest seaweed producer. Most of these seaweeds are exported to other countries. Only few know that Indonesia also manufactures high-quality hydrocolloids like Agar, (semi-)refined Carrageenan, as well as Alkali Treated Cottonii Chips and Alkali Treated Gracilaria. 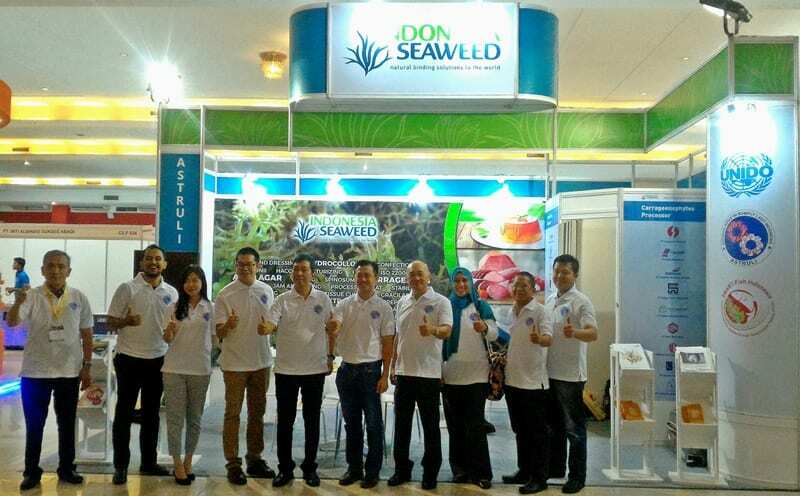 The participation at SIAL InterFood and the launch of the Indonesia Seaweed brand is the starting point of opening larger international market for Indonesian High-Quality Hydrocolloids. ASTRULI, together with leading Indonesia Seaweed processors as their members, are ready to present themselves to the world. SIAL InterFood was chosen based on its high potential as a gateway to export business. developing the Indonesia Seaweed brand. what makes indonesia seaweed special? We are happy with all the positive feedback of Indonesia Seaweed brand launching and network event at SIAL InterFood 2018. We look forward to the next international event!